Post Listing Update: This Road Rocket did not meet reserve despite 34 bids up to $7,500. When BSA debuted the A10 Road Rocket in 1954, they called it “undoubtedly the worlds greatest motorcycle.” A bold claim, but they backed it up with a sweep of the top 5 places in that year’s Daytona 200. The Road Rocket was an evolution of the Golden Flash to keep up with the improvements coming from Triumph and Norton. The 646cc air-cooled twin was good for 40 horsepower and a top speed of 109 miles per hour. It had a TT9 carb, aluminum cylinder heads, and a four-speed gearbox. The tach was optional, and the general styling lines would set a precedent for the next several years of Beezers. 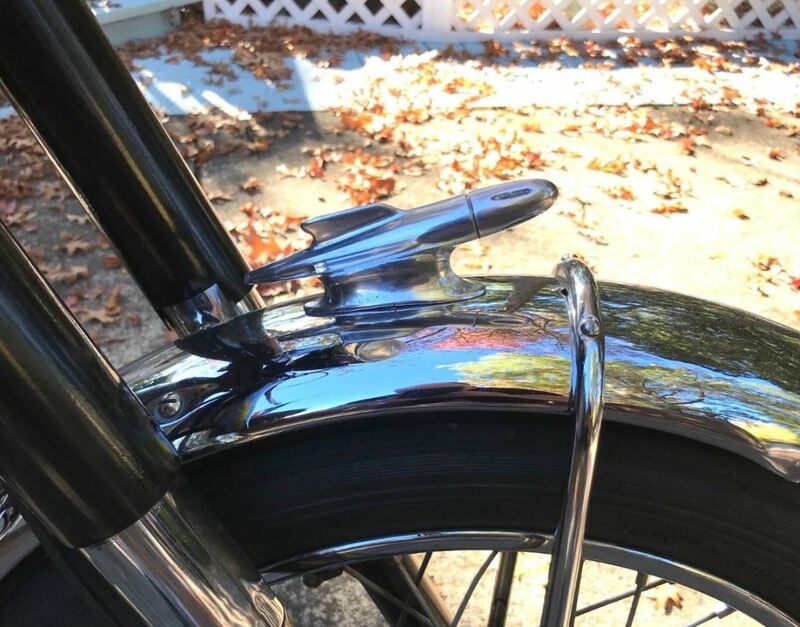 This bike (Frame #: CA710029, Engine #: CA10.R.234) had an engine rebuilt in 2007, and the seller says he’s got $3,000 worth of receipts covering the engine work and cosmetic restoration – like the refurbished Smiths speedometer. It’s also been upgraded with the silencer from a Goldstar, new cloth wiring harness, and Thorspark electronic ignition. 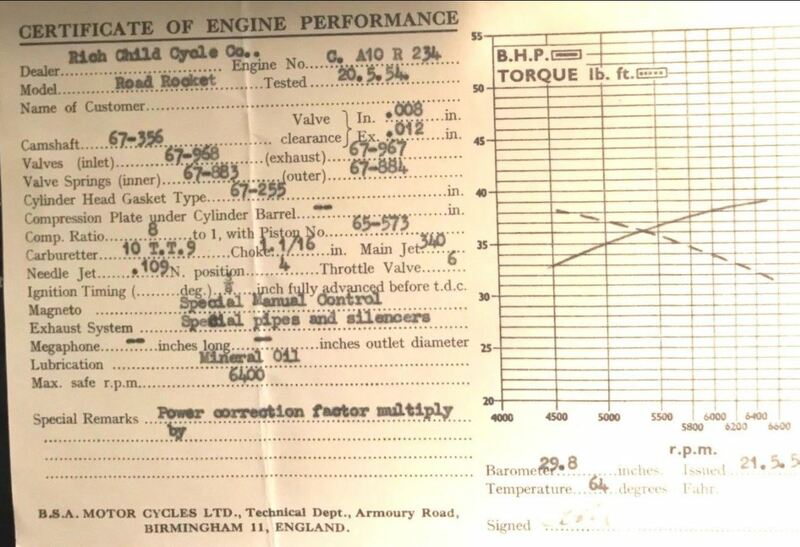 The seller also includes an engine performance certificate as well a dating certificate from the BSA factory confirming that this bike was dispatched to Hap Alzina (the US West Coast BSA distributor) on January 19th, 1955.